Introducing the Ziccardi Collection. Concentric curtains of ribbed glass rods tiered from a bronze frame. 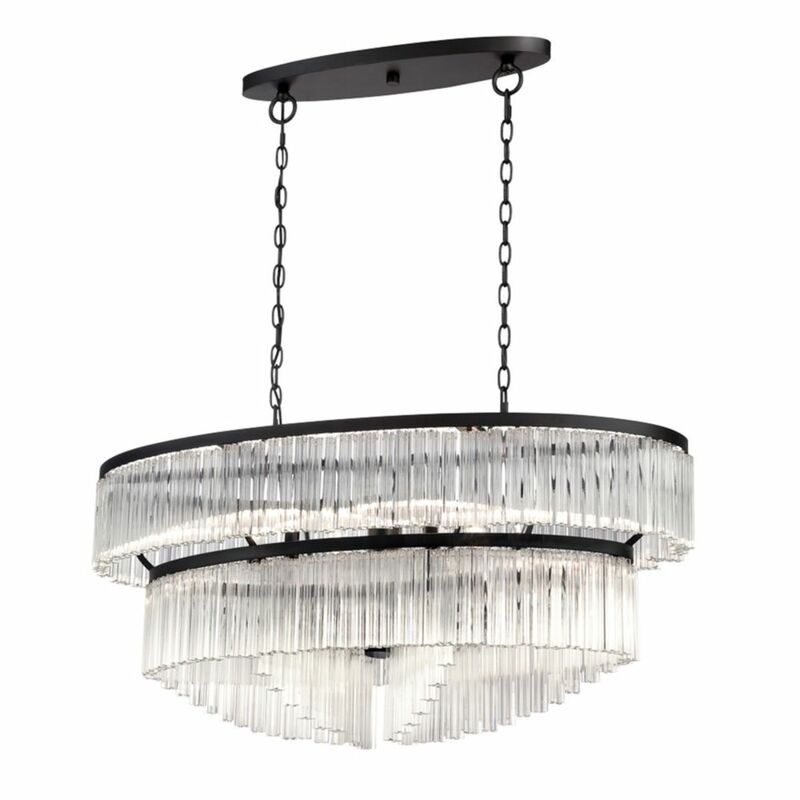 This chandelier will be a great addition to any room in the home or office. Only available from Eurofase. The Avita is the perfect transitional piece for your space! A LED ring is welded to orbiting bronze bands in a beautiful freeform way. The bands criss-cross around adding depth and movement while the bright LED light brings contrast to the fixture. Natural bamboo sticks suspended between two antique elliptical bronze rings. The perfect marriage between country and chic, the Bobina wields an LED light adding a modern touch. A one-of-a-kind piece sure to attract attention. A stunning combination of classic and modern design, the Capri collection adds warmth and charm to both contemporary and transitional dicor. Bronzed metal encircles clear crystal droplets, illuminating softly from miniature candlesticks that reflect in the crystals throughout. The Minuta Collection. Aluminum and frosted halos generating a diffused LED glow. This chandelier will be a great addition to any room in the home or office. Hardware included for easy installation. Available only at Eurofase. Ziccardi Collection, 10-Light Oval Bronze Chandelier Introducing the Ziccardi Collection. Concentric curtains of ribbed glass rods tiered from a bronze frame. This chandelier will be a great addition to any room in the home or office. Only available from Eurofase.